For many years I worked nights at a supermarket packing shelves. 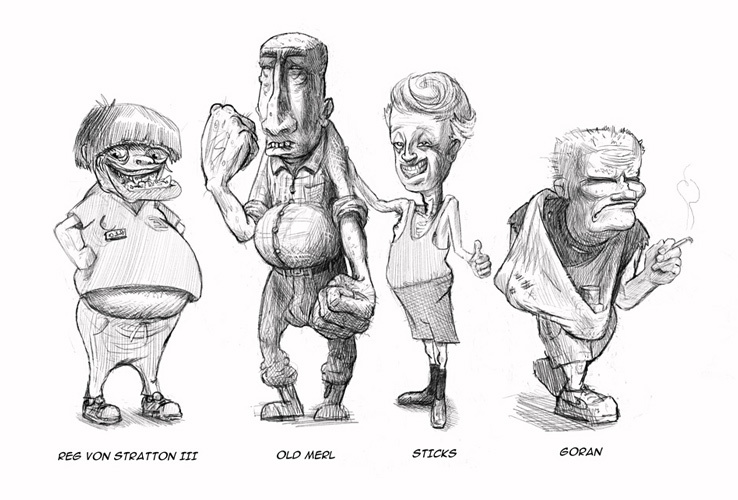 I was inspired to create these characters based (not so loosely) on some of the older guys who worked with me. I hope one day to tell a visual story (maybe a comic) with the characters and retell some of the bizarre tales that took place late at night under the supermarket flouros. © 2011-2018 All images are used with the permission of their respective owners. Unauthorised usage prohibited.